» Keiser M3 Plus & Schwinn AC…Best Spin Bikes For Sale Online! 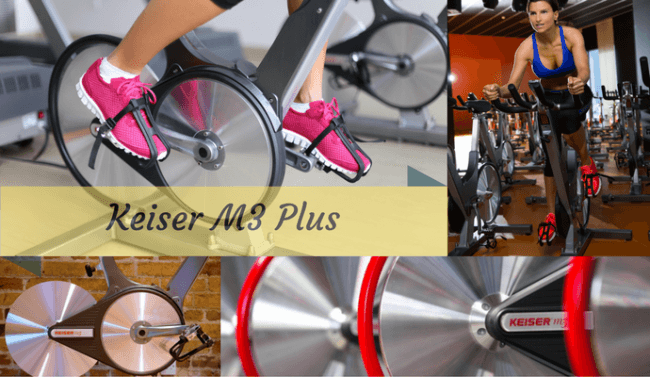 Keiser M3 Plus is a commercial-quality spin bike designed and built in the USA. This popular bike has a compact footprint and very comfortable to ride. It is unique with its 24 levels of smooth magnetic resistance. Shimano Combo pedals, built-in computer, wireless heart rate monitoring, Impressive seat and handlebar adjustment. The Plus indicates fore and aft handlebar adjustment, which is not included on the standard Keiser M3. With a 10-year frame warranty and 3-year parts/electronics warranty. You will often read buyer reviews that refer to Keiser Spin Bikes as a “work of art.” Keiser Bikes do make a strong statement, their design is unique, almost silent, and super smooth to ride. But they don’t need to rely on radical looks alone. Keiser has earned the respect of professional riders and fitness instructors thanks to the quality build and durability with many pro features included, this makes the M3 plus or M3i a popular choice with Gyms or commercial users. 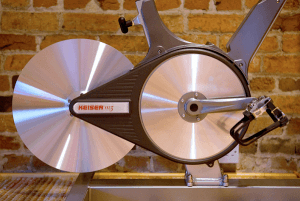 Best of all, Keiser Bikes are designed and built right here in California, USA. How many spin bikes can claim that? Excellent, if in the future, you ever need spare parts or maintenance. Is The Keiser M3+ the Perfect Spin Bike? Depends on what you are looking for and the price you are willing to pay – In 2018 I certainly rate Keiser Bikes as one of the best. If you find the price of the latest Keiser Bike is a little out of your budget? You will find a constant supply of quality used Keiser Spin Bikes for sale on Amazon. The Innovative crew at Keiser® are constantly upgrading and improving their bikes. As well as Bluetooth® [which is great] there is another equally important difference included with the M3 Plus. That is the full adjustment of the handlebars – they now have full adjustment forward or back and up or down… an excellent long-awaited improvement, in my opinion. The up-graded handlebar adjustment on the Keiser M3 Plus gives “Fine Adjustment” to both small and tall riders, offering greater control when you personalize your cycling position. This may seem a small advantage that the M3 Plus has over the M3 – but a correctly fitting bike will make the difference between enjoying the sport of spinning or not. If your bike is a poor fit and you spend a lot of time on it – you run the risk of developing neck or back problems. Another feature I would love to see on all good indoor bikes, not just Keiser Spin Bikes is the calibrated shifter – It Is Excellent! For me this feature sets Keiser Bikes apart from the rest – it is the reason I continue to rate the Keiser M3+ the best bike out of the 3 indoor bikes reviewed. Brake pads on these bikes will often expand when hot, resulting in the unwanted binding on the flywheel. You then have to constantly re-adjust your resistance settings… not cool! Won’t happen on a Keiser Spin Bike! My very first cheap no-name spin bike did this – it drove me crazy! Thanks to the magnetic braking system you don’t have conventional brake pads that can cause resistance issues on lesser spin bikes. M3 Plus Magnetic Resistance System. The magnetic resistance system works using eddy currents: electric currents on M Series equipment are generated by two opposing magnets passing over the flywheel. By varying how much of the flywheel comes into contact with the magnetic field, resistance can be increased or decreased for the rider. The resistance system is top of the line on all Keiser Bikes it is set with 24 gears, there are no brake pads to heat up, as the resistance uses a magnetic system. Resulting in reliable settings with no resistance shift. The Keiser M3 Plus video above, explains this wonderful feature in greater detail – Take a Quick Look you will be impressed. A magnetic resistance system signifies the difference between top quality spin bikes and cheaper hopeful contenders. Another nice touch I found is the current gear you are in, is shown in the bottom left of the backlit computer display. belt drive gives an all most silent ride – the Keiser M3i is the quietest spin bike for sale today. polished aluminum looks great but requires constant cleaning to keep it looking great, as it oxidizes very quickly if you don’t wipe sweat off. pin-less seat adjustment, though it is great to have the greater control over your seat height – pin-less adjustments ( if the knob is not tightened sufficiently) can allow the seat to drop unexpectedly. 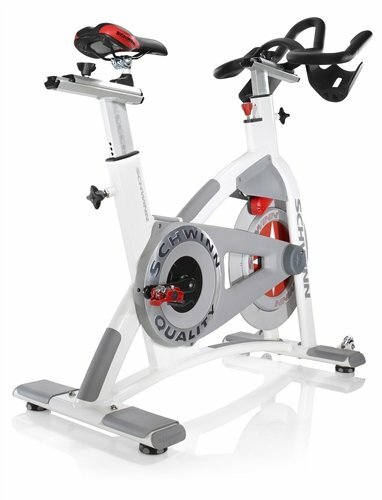 Without a doubt Keiser Spin Bikes and the Schwinn AC, both have that X-Factor – I Want One! I just can’t decide which spin bike I want. They are a pleasure to ride and for those of you who care about looks – sure to turn heads. When you compare a Keiser Bike against the Schwinn, the second bike, (Schwinn AC Performance) may seem a little ordinary at first glance due to its conventional styling, but it is an incredible bike manufactured to a level that surpasses most spin bikes for sale today. 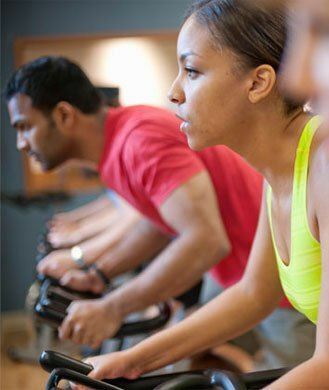 You will love what all three of these exercise bikes can do for you. Schwinn AC Performance should be rated no.1 or at least equal to the M3 Plus. The magnetic resistance with nob adjustment on Schwinn Spin Bikes works fine, it is just I feel the Keiser M3 gear system has that cool factor. It is so easy to use when you are oxygen deprived and really pushing yourself. But I don’t see it as a deal breaker, like the Schwinn and the Keiser M3 Plus are both excellent spin bikes built for serious spinners. Feature-wise and the price they are rated almost equal. The Schwinn AC uses Virtual Contact resistance technology to control the resistance this involves placing magnets either side of the aluminum flywheel to apply resistance. The unique 6 Magnet Brake System provides smooth, consistent resistance that won’t drift. The flywheel is 37 lb perimeter weighted made from anodized Aluminum, a little lighter than the 40lb + flywheels I would normally like to see, but the bike still rides very well – it is easy to maintain a smooth efficient pedal stroke. The chain-drive system with just a little chain noise but if the chain is maintained and adjusted correctly it won’t be too intrusive – but it is not as quiet as the Keiser M3 Plus. When it comes to pedaling, the Schwinn AC is nice and smooth closely replicating the feel of a riding road bike. Schwinn AC Performance Plus 2016 – Carbon Blue … this is the same bike as the Schwinn AC Performance but it ships with a belt drive for an almost silent ride and virtually zero maintenance. A great feature is that you can stop pedaling abruptly and it sort of free wheels. The resistance knob also provides a “stop” function (press the knob and the flywheel stops almost immediately); another very welcome safety feature. The AC Performance does not come with an LCD monitor or a computer of any sort. If you get the Power Upgrade module for the M-power console, the Edge 500 captures everything except distance and speed, which are irrelevant measures on a stationary bike anyway. Some Garmin watches, such as the FR70, connect automatically and capture everything. With a Garmin Edge 500, it records HR, power, and cadence, as well as time; perfect for uploads to Garmin Connect or Training Peaks. I love the MPower console, I love to push myself to the limit and find this motivates me to push harder – on good day’s that is. It allows you to measure wattage and RPM’s and the combination results in mph. a poorly adjusted chain can cause noise. I’m struggling to find any real negatives – this is a quality bike. With the drop handlebars, it is more a road cyclists trainer than a spinners dream bike but I guess it depends on how you want to ride it. When I first set eyes on this bike I thought they had adopted a standard road bike frame and simply removed the wheels but a closer look set that right. This is a quality bike made with care, flair and an obvious passion for cycling, the aim is to recreate a stationary exercise bike that is fully adjustable and easy to set up to ride like your regular road bike… it is radical in design, stable, smooth and for a chain drive – fairly quiet to ride. lifetime Warranty – for the frame as long as the original buyer owns it. accurate digital feedback with wireless data transfer – tracks peak power, heart rate or weight loss. resistance drifts – as the brake pad warms up the resistance increases. If you don’t have a perfectly balanced pedal stroke if feels jerky loading and unloading on the freewheel. I actually tweaked my knee trying to do a standing jog on this bike. This is a great bike if you primarily ride road bikes outdoors and want to train for that, but it is not good for Les Mills RPM or Spinning style classes. source : buyers review from CycleOps website. If you were hoping the CycleOps came with a gear system like the Keiser M3 Plus – Sorry No, resistance is controlled by twisting the yellow knob on the top tube frame – not what I would expect from a bike with a $3,000 plus price tag? If you upgrade to the 400 model you plug the bike into the wall socket and the Resistance is set via the computer… Nice! Every stationary bike you buy will require basic maintenance especially regular cleaning as sweat is very corrosive, some bike manufacturers such as CycleOps locate the flywheel at the rear of their indoor cycles to keep it out of the sweat zone this improves the life of the flywheel and brake pads. The Joule computer is a small standalone unit not permanently attached to the bike, it shows how fast you pedal and how far you’ve traveled – in a virtual sense, but it doesn’t show the resistance level you are using. It does come with a handy mounting cradle you can attach with zipping ties, has built-in rechargeable batteries charged via USB cable, with a battery life around 20 hrs. The psychical Dimensions of the CycleOps 300 is 48 inches x 13 inches x 34 inches (length x width x height) and weighs 140 pounds, all Cycle Ops indoor bikes have an excellent adjustment range to suit a large number of riders… height range for riders is 4 feet 11 inches to 6 feet 6 inches with a fairly hefty maximum weight limit of 300 pounds. 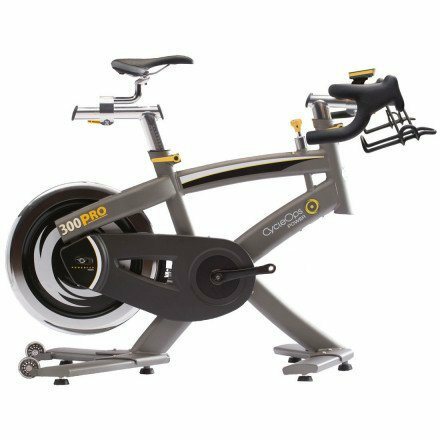 The CycleOps 300 is a very nice if not the best indoor trainer you will find, it would be excellent for a serious road bike rider/racer, maybe even a mountain biker but it isn’t a great spin bike. The Keiser M3 Plus and Schwinn AC are incredible spin bikes they are as close as you will get to “Perfect Spinning Bike” but there is a problem. At least, I have the problem? – Choosing The Best Bike To Recommend – They are both excellent spin bikes. Visit Amazon For Today’s Prices and Verified Reviews! 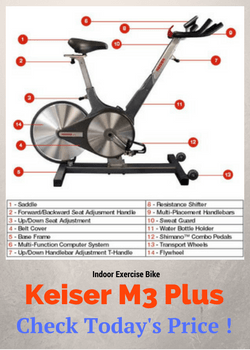 >Keiser M3 Plus – Click Here – To Read Buyer Reviews! 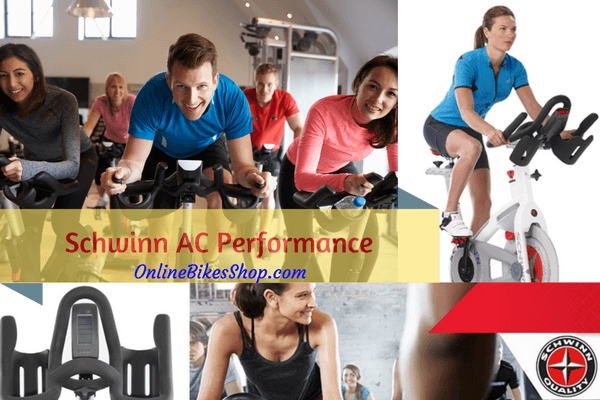 > Schwinn AC Performance – Click Here – To Read Buyer reviews! Best Indoor Exercise Bikes for 2019 – Recumbent vs Upright Bike? 3 Best Spin Bikes For Home Use [Pro Tips 2019] Spinning Benefits – Get Quick Results From Spin Classes! 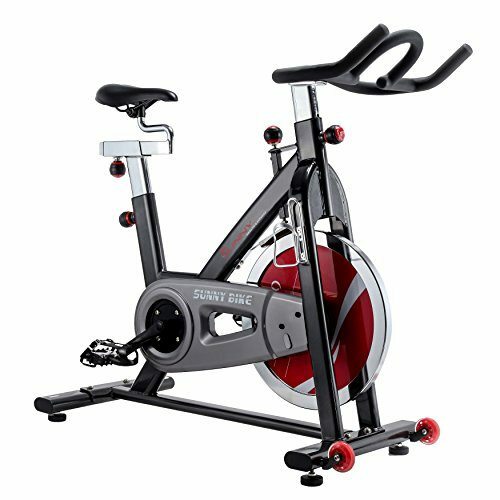 Sunny Health & Fitness Belt Drive Spin Bike – [2019 Review] Mountain Bikes For Sale – How To Buy Good Cheap Mountain Bikes ? Previous Post Spinning Shoes 2019 – How To Choose The Best Indoor Cycling Shoes! 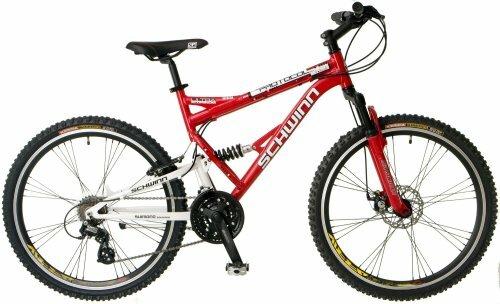 Next Post Mountain Bikes For Sale – How To Buy Good Cheap Mountain Bikes ? Great reviews. All great bikes. But I found the Lifecycle GX has the best feature combination of all. If you get a chance to check one out, do. I very nearly bought the Schwinn Carbon Blue. But the GX was a better overall bike and value. Which of those indoor cycles described above, plus the model made by Sole, from other article on this website, is the best, and, which one would be then the second best, in an ergonomical sphere ( I focus my attention on adjustability, kind, and comfort of handlebars, pedals, and saddle ), please? Hi Janessa, thanks for your comment glad you liked the post, though not looking for guest posts at the moment thanks. Oh cool, I didn’t know Schwinn made these kind of bikes too. As far as looks go the Keiser spinning bikes definitely have got it. And two thumbs up for being made in the USA! That’s always nice to see on a quality product.